Jewish day school parents will soon be sitting in crowded movie theaters able to relate with the family on the big screen. "That's us!" they'll say as they watch Zach Braff and Kate Hudson star in the upcoming movie "Wish I Was Here." In the film, which premiered last month at the Sundance Film Festival and has raised over $3 million of its $2 million goal on Kickstarter, Zach Braff plays Aidan Bloom. Bloom is a struggling actor living in suburban Los Angeles with his wife (Kate Hudson) and their two children. The couple is forced to pull their children from their Jewish day school after his dad, played by Mandy Patinkin, announces he is suffering from cancer and will no longer be able to pay tuition. Rather than send them to the local public school, Braff's character decides to home school the kids. Zach Braff co-wrote the script with his brother Adam. He told the Hollywood Reporter that it's based on their real life childhood. “It was kind of a combination of both of our lives,” he said, according to The Hollywood Reporter. “We did have a very strong Conservative/Orthodox upbringing." Many families will be able to commiserate with the challenge of affording day school tuition. And when parents choose to send the children to Jewish overnight camp in addition to Jewish day school, the bills really start adding up. Just ask any Jewish family that sends their children to private Jewish day school and a Jewish summer camp about the affordability of such endeavors and they’ll use words such as “sacrifice,” “hardship” and “priorities.” With the cost of Jewish day school tuition for one child varying from $10,000 all the way up to $40,000 per year, more Jewish families who desire a day school Jewish education for their children are finding it cost prohibitive even with financial aid. Add to those rising costs, the additional expense of a month or two at a Jewish summer camp and families are having to just say “no” to their kids. In the new economy, the Jewish middle class has virtually vanished. Many families who once would be considered upper middle class are forking over their tax returns hoping for subsidies to make day school and camp tuition affordable. New organizations like the Affordable Jewish Education Project (AJEP) are sprouting up seeking to imagine alternative solutions to the economic crisis. Plain and simple it’s becoming cost prohibitive to raise a Jewish family according to the values of day school and summer camp. While Jewish day schools continue to solicit large endowment gifts to offset the tuition costs, the Foundation for Jewish Camp (FJC) has announced a new affordability initiative. In an effort to put a Jewish summer camp experience in financial reach for most families, FJC has launched BunkConnect, a new program that matches eligible families with high-quality nonprofit Jewish summer camps at a more affordable price. This philanthropic business venture has been developed in collaboration with forward-thinking business executives and leading philanthropists. What Sheldon Adelson, founder of the Las Vegas Sands Corp., has done for Birthright Israel with his largesse, the president and COO of the same corporation is now doing for Jewish camping. A former camper and counselor himself, Michael Leven, president and COO of the Las Vegas Sands Corp., is the program’s key funder. 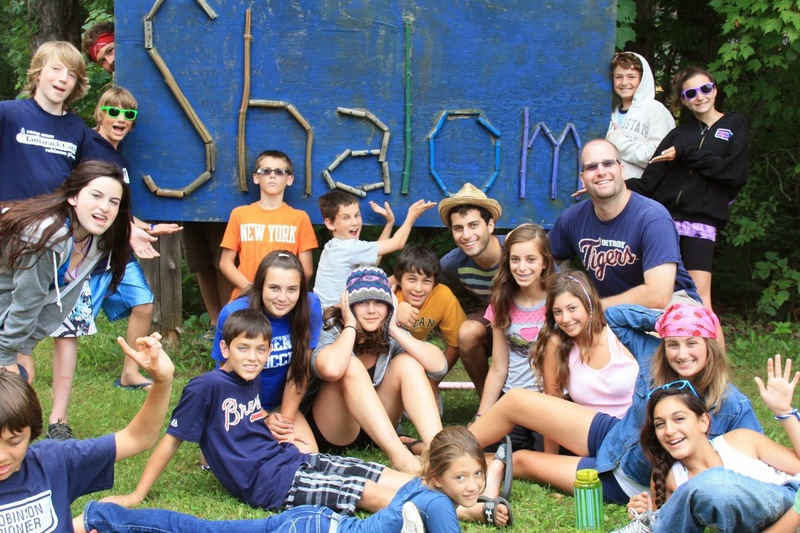 Studies have shown that Jewish overnight camp offers Jewish children the opportunity to build connections to the Jewish future. The Jewish summer camp experience is widely viewed as an essential part of fostering Jewish identity in children and creating a stronger Jewish community in the Diaspora of North America. The program’s process is simple. After income-eligible families of all Jewish backgrounds supply some basic, confidential information into the new online tool, BunkConnect matches them with available camp sessions at low introductory rates. This initiative is modeled after the success of FJC’s One Happy Camper program – a need-blind grant initiative for first-time campers. BunkConnect is already set to pilot this month in the Northeast, New England, and Mid-Atlantic regions with 35 participating camps, representing various movements and denominations. The program is for first-time campers only and bases eligibility on a family’s adjusted gross income, number of dependent children, and place of legal residency. For example, through BunkConnect, a family with two children living in Pennsylvania with a maximum adjusted gross income of $142,000 can realize the dream of Jewish camp. Jewish day school families are welcome. BunkConnect is a collaborative program between the Foundation for Jewish Camp with The Center for Entrepreneurial Jewish Philanthropy (CEJP). In addition to the Michael and Andrea Leven Family Foundation, significant gifts were made by The AVI CHAI Foundation, The Leader Family Foundation and The Jack and Goldie Wolfe Miller Fund. What’s unique about this new project is the business approach that was used, which is a new philanthropic giving model. Many Jewish families who spend close to six figures a year on the combination of Jewish day school education and a summer camp experience for their children may begin to see that burden ease a bit with this new initiative. While there will still be sacrifice (less vacations and waiting another year to remodel the kitchen), fewer families will have to forgo a meaningful summer experience for their children.